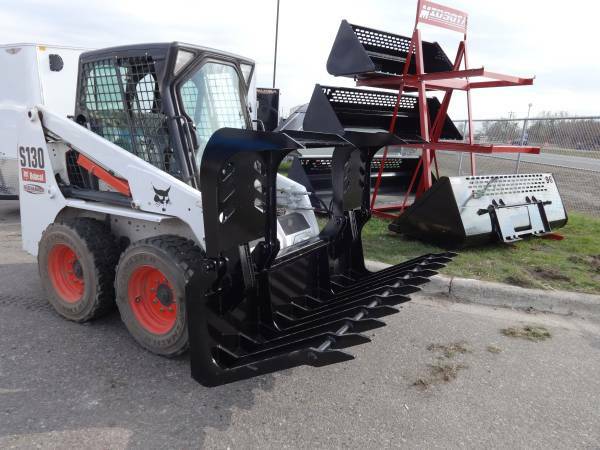 M&G carries multiple styles of Midsota line of quality built skid steer attachments for your skid-steer loader or compact track loader. If you don't see what you're looking for, give the sales staff at M&G a call today for availability at 763-506-0930. 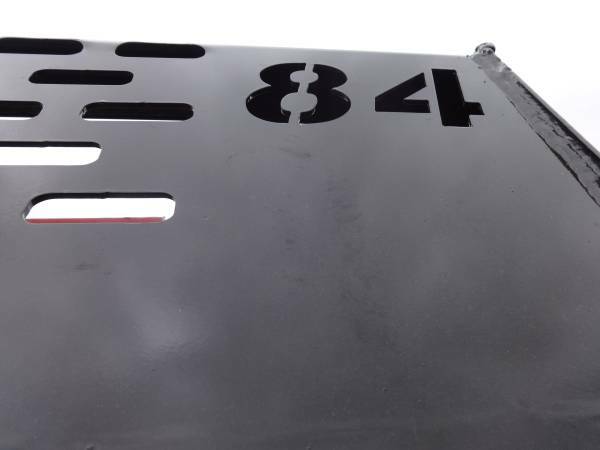 The 84" Midsota snow bucket features 3/16" (7ga) skin thickness with a heavy duty 5/8"X6" bolt on cutting edge. This 1.15 cubic yard bucket comes with a 12" mesh window for great visibility. 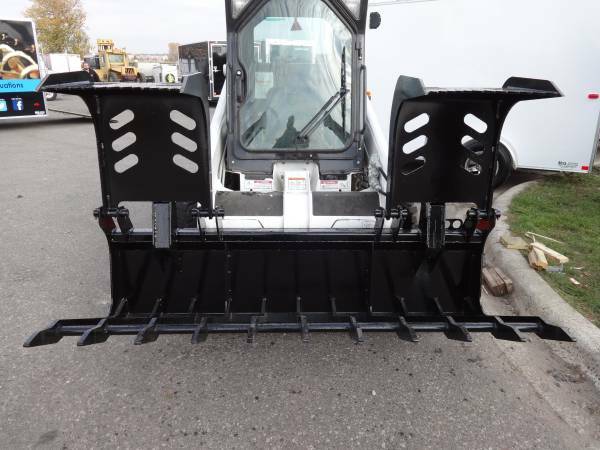 The 96" Midsota snow bucket features 3/16" (7ga) skin thickness with a heavy duty 5/8"X6" bolt on cutting edge. 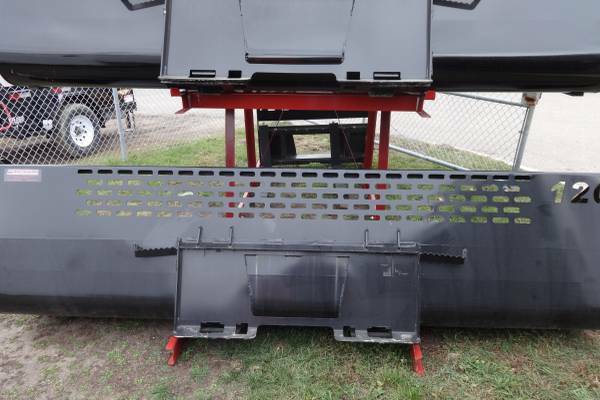 This 1.66 cubic yard bucket comes with a 12" mesh window for great visibility. 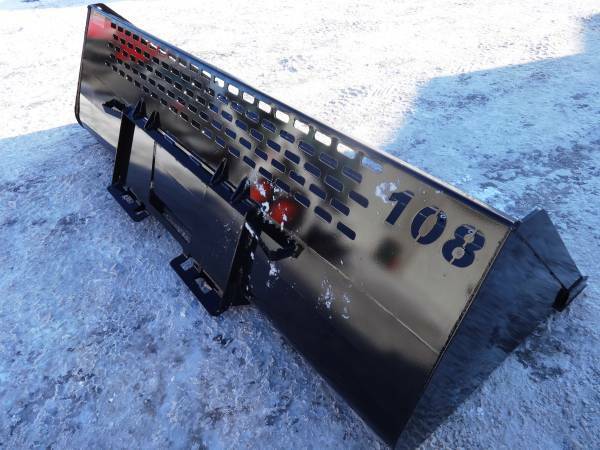 The 108" Midsota snow bucket features 3/16" (7ga) skin thickness with a heavy duty 5/8"X6" bolt on cutting edge. This 1.48 cubic yard bucket comes with a 12" mesh window for great visibility. 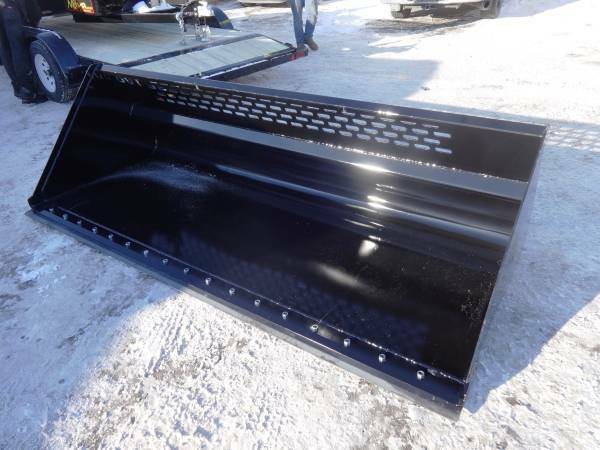 The 120" Midsota snow bucket features 3/16" (7ga) skin thickness with a heavy duty 5/8"X6" bolt on cutting edge. 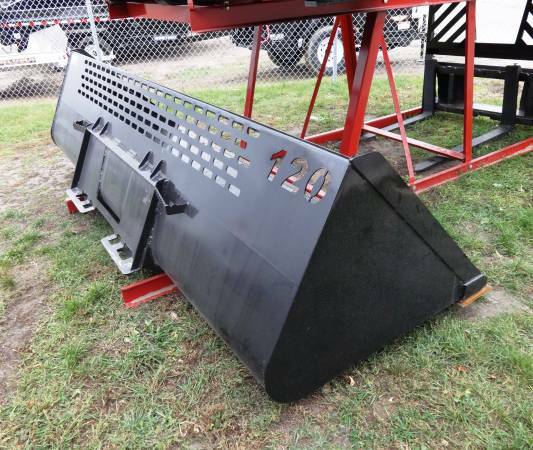 This 1.66 cubic yard bucket comes with a 12" mesh window for great visibility. The 77" Midsota industrial grapple features 3/4" bucket teeth (7" o/c) with 1/2" grapple head teeth with dual cylinders. Midsota 48" pallet forks with the "walk through" support rack. 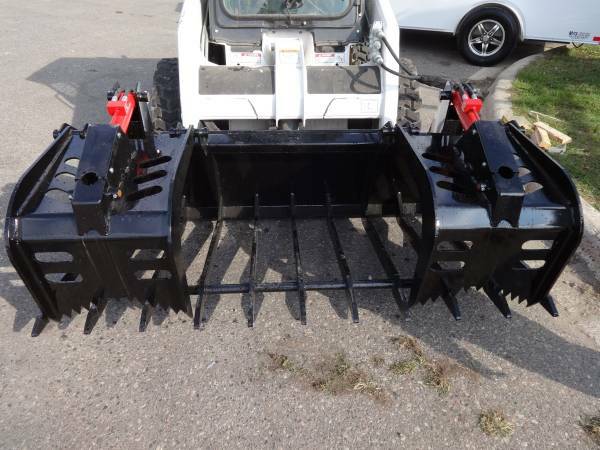 These 1 1/2"X4" forks feature 48" max outside spread with a 5,500lb carrying capacity.